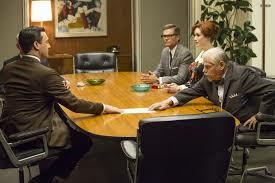 April 30, 2014 – “Mad Men” turned in another stellar episode on Sunday. After Don receives a call from Megan’s agent explaining that she needs a lecture about her recent behavior with a producer, Don unwillingly hops on a plane to pay her a surprise visit. That telephone scene was eerily reminiscent of Don speaking with Betty’s psychiatrist about her progress in the first season. Didn’t women have any privacy back in the 1960s? Megan is excited to see him. Then Don lets it slip that her agent called him, and she becomes angry, throws him out, and says the marriage is over. It doesn’t help her mood that he is finally honest about his leave from SC&P. Back in New York, Don lunches at the Algonquin Hotel, where he receives two compelling offers. One is a job offer from his fellow ad men across town, and the other is from a young blonde, who offers him her room number in case he wants to pay her a visit after his lunch meeting. Don’t these women understand that he is the new and improved Don Draper? Aside from the flirting on the plane in the first episode, he’s been faithful. Don accepts the job offer, or at least the envelope it came in, and in the next scene, he’s knocking at a hotel room door where (SURPRISE!) Roger answers. Don shows Roger the job offer, and tells him he is ready to come back to work. Roger is hesitant at first, tells him the job offer he just received is below him, and agrees that he can come in on Monday. When Don arrives, he discovers that Roger hasn’t told anyone that he was coming back. These office scenes ooze awkwardness. Don sees that the office has made major changes in the few months he’s been gone. However, when he runs into his former secretary, Dawn, he hands her his coat and hat, and asks for coffee as if he hadn’t missed a day. Hey, Don, it’s 1969 and women in the workplace demand more. Dawn’s promotion to HR and her new office mean she doesn’t have to do that for you anymore. Still, Don’s reaction is realistic. He’s in his early 40s, dresses as if it’s the 1950s, and has a difficult time embracing change. Don’s reunion with his fellow employees is uncomfortable, although I am surprised by Joan and Peggy’s reaction. He shared a close relationship with both women, saw Peggy through an unwanted pregnancy, and promoted her as the first female executive, yet she says she is not happy to see him back. Joan isn’t any more thrilled than Peggy, though Don has supported her on more than one occasion, especially when he tried to talk Joan out sleeping with the Jaguar executive to get the account. Her reputation, he said, was more important than the added income the firm would receive. Alas, Joan is a partner now, and money is her new bottom line. Roger talks the other partners into giving Don another chance, and although they hesitate, they agree with steep conditions; no drinking in the office, no meeting with clients alone, and Don must report to Lou, his replacement. Don accepts, opening up the possibilities of interesting storylines to come. Betty makes her first appearance of the season in this episode, and as we quickly learn, she’s just as immature and selfish as ever. If your heart didn’t go out to young Bobby Draper when his mother accompanies him on his field trip, you are not human. When Bobby trades his mother’s sandwich for a bag of gumdrops, things go drastically wrong. He didn’t realize it was his mother’s lunch, and apologizes, but Betty turns cold and gives him the silent treatment for the rest of the day. She loves to play the victim. Henry comes home from work later and asks what happened, and Bobby says he wishes it was yesterday. With Sally tucked away at boarding school, Bobby is Betty’s new victim, and these kids will need serious therapy in the future. April 28, 2014 — A dose of Old City Philadelphia in the spring is exactly what I needed after a long, cold, and snowy winter. 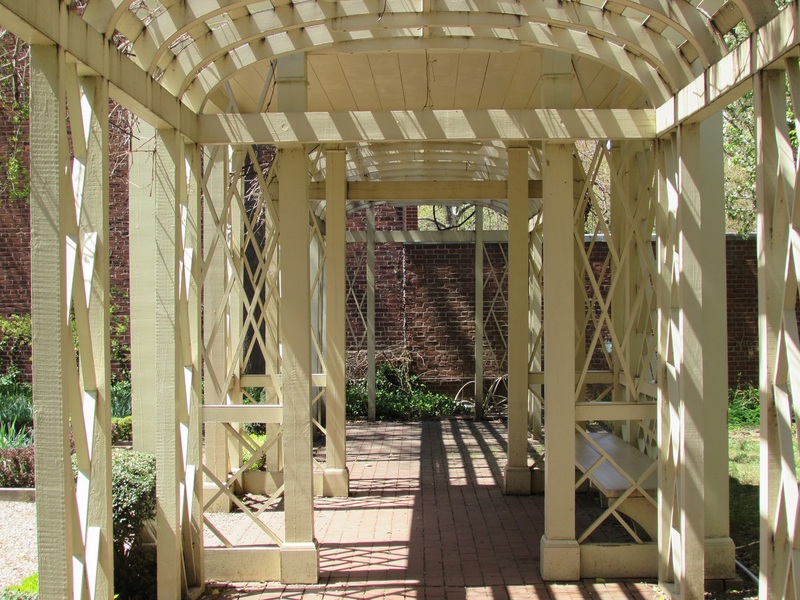 My lunchtime stroll through the gardens surrounding Independence Hall offered photo opportunities and the chance to escape without leaving the city. 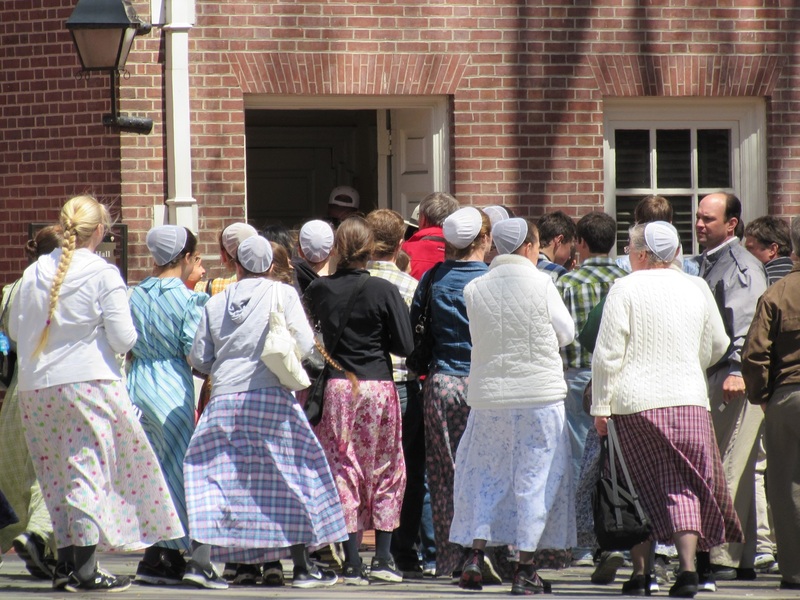 An Amish group takes a tour of Independence Hall. 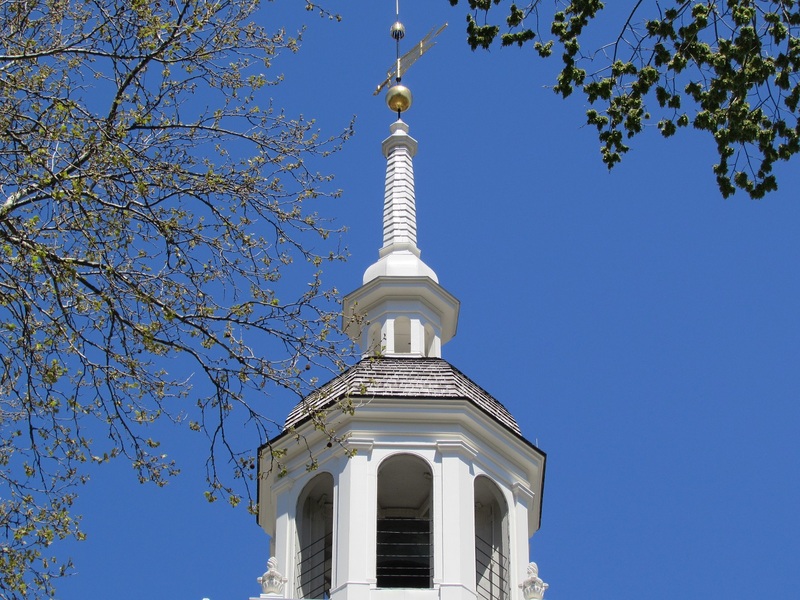 The top of Independence Hall, the birthplace of America, and the site where the Declaration of Independence was signed on July 4, 1776. An inviting place to sit and relax on a beautiful day. 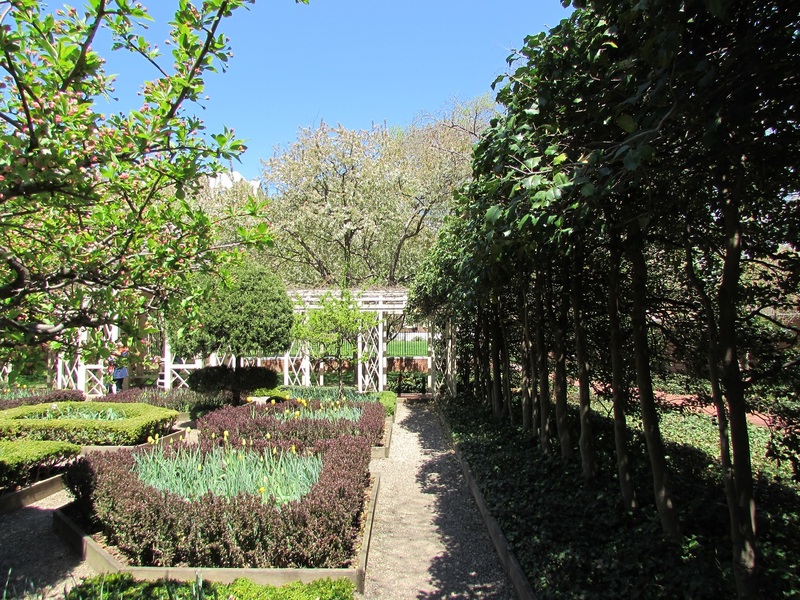 Wide view of the garden adjacent to Independence Hall. 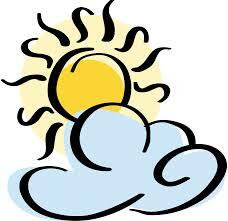 Question of the week: What is the difference between partly sunny and partly cloudy? April 25, 2014 – The first thing many of us do each morning is check the weather; it could have a huge impact on our day. When I hear a forecast call for partly sunny or partly cloudy skies, I always wonder about the difference? Is it a glass half full/half empty situation, or is there science behind it? It makes sense that when it is partly sunny, there is more sun than clouds, and vice versa. However, the answer, according to some experts, is not that simple. The Weather Forecast Office in Montana explains that there is no actual difference between partly sunny and partly cloudy. Rather, it is up to the weather person to emphasize sun or clouds. Still, there are opinions that differ. Some experts at the National Weather Service, for example, prefer a more scientific explanation. They define partly sunny as a predominant sky condition that is 3/8 to 4/8 clear, and partly cloudy as a predominant sky condition with 3/8 to 4/8 cloud coverage. I suppose it makes little difference since both forecasts call for a mixture of both sun and clouds. Still, the optimist in me will always see the sky as partly sunny over partly cloudy any day. Posted on April 25, 2014 April 24, 2014 Categories Question of the weekTags Partly cloudy, Partly sunny, Question of the week, The National Weather Service, The Weather Forecast Office in Montana, Weather ForecastLeave a comment on Question of the week: What is the difference between partly sunny and partly cloudy? April 23, 2014 – Word on the street is that television is more popular than movies these days. The buzz is all about “Game of Thrones”, “Downton Abbey”, “House of Cards”, and even the return of “Mad Men”, a show that has lost some momentum in the last few seasons, yet was once the darling of the Emmys and Golden Globes. Sad yes, but this was a huge turning point for a man who hides every aspect of his life from his family and co-workers, and assumed the identity of another man to disassociate from his childhood. Don’s confession did not stop there. In the last scene, he stood with his kids in front of the dilapidated brothel as he showed them where their father once lived. I applauded his efforts, especially with his daughter Sally, who had earlier caught him in an uncompromising position that no child should have to witness, especially when the activity in question didn’t happen with his wife. It was the best season finale scene I could imagine, which gave me hope for the future. 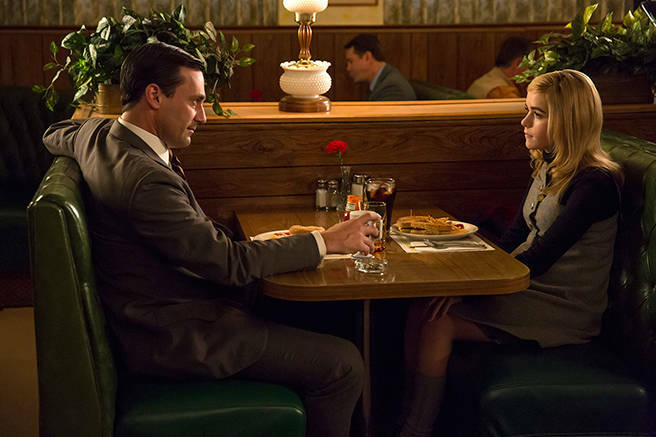 When “Mad Men” began its sixth and final season on April 13, I waited anxiously to see what became of Don’s and Sally’s relationship. Instead, we saw Don, still on leave from his job, but back to his old ways, trying to pick up a woman on a plane. Were the writers going to ignore last year’s spectacular ending? Did Don learn nothing from losing his job, his daughter, and his wife? If I had been patient one more week, I would see that he had indeed learned. The process was slow, but it was happening. The scenes between Don and Sally in Sunday’s episode were superb, and possibly the best this series ever offered. When the two venture out on a road trip back to Sally’s boarding school, Don does his best to talk to his daughter, who remains stubbornly silent. Don does not give up though, and aside from telling her she is like her mother when she is angry – I did not care for that – he handles the situation correctly, acts like the adult, and continues trying to reach her. Not only was the writing terrific, the acting was top-notch, and those scenes should already be in the hands of the Emmy nomination committee. Cheers to Jon Hamm and Kiernan Shipka for making me believe again. Even though I would have stuck with “Mad Men” to its final episode, these two have renewed my faith in the show, and will make it a pleasure to watch until the end. April 21, 2014 – Kristen Wiig has made interesting choices since leaving Saturday Night Live to pursue a career in film. With her success with the mega hit “Bridesmaids”, she likely has her selection of movie scripts, some hilarious and some quirky and hilarious, and all have been entertaining. In her latest role, she plays quirky, without the hilarious. In fact, she barely cracks a smile in the new Indy film “Hateship Loveship”, which is based on the short story by Alice Munro. It wouldn’t be stretching it too much to call her character a modern-day Jane Eyre. She plays Johanna Parry, caregiver/nanny/nurse who takes a job minding a teenage girl who lives with her grandfather (Haliee Steinfeld and Nick Nolte). Unlike Jane Eyre, we know little about Johanna’s past – she worked for an elderly woman as a nurse for most of her career, and in the opening scene, the woman dies – but we can tell by her sullen face, her past was not filled with love and laughter. The teen, Sabitha (Steinfeld), lives with her grandfather because her mother was killed when her drunken father crashed their car. Her father (Guy Pearce) served time for the accident and death. After a cruel trick by Sabitha and her friend Edith, who both prey on Johanna’s naïve and shy personality, Johanna thinks she is in a relationship with Sabitha’s father, and this is a completely new experience for her. This is one of those films that counts on dialogue to move it forward. There is no real action, and the story line is simple and quiet. Not simple enough, though to offer few surprises. Screenwriter Mark Poinier and Munro do a fine job of staying away from clichés in this story. For example, Nolte, as the grandfather, and the father who lost his daughter in the car accident, isn’t the angry, bitter man you expect him to be. He doesn’t trust his son-in-law, but he welcomes him into his home so he can maintain a relationship with Sabitha. Pearce’s character, as the addict father, is also surprising. He sees his flaws, and although he doesn’t try to hide them or make excuses, you can tell he wants to change and be a good role model for his daughter. While you can’t call him the hero of the film, at least in the traditional sense, he isn’t the villain, either. There are plenty of awkward moments in the film that are interesting and somewhat cringe worthy. Johanna leaves herself open to the possibilities for the first time in her life, and we feel for her, root for her, and even fear for her. The film isn’t a feel good drama with a fairy tale ending. It’s real life that plays out on the screen, portraying plenty of human emotion without being overly dramatic. It also portrays three-dimensional people, with both good and bad and hero and villain qualities. Hateship Loveship is well acted and refreshing. Liza Johnson, who directed, refers to it as a love story for grownups, but I believe it’s for anyone who enjoys a dose of reality in their film choices. While you won’t leave the theater hopeful that the characters rode off into a blissful existence, you will leave realizing that sometimes simple is good, and these are the stories that are lacking in Hollywood today. The film is in limited release in some cities, and is available On Demand, as part of Comcast’s “same day as theaters” promotion. 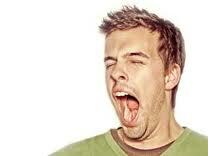 Question of the week: Why is yawning contagious? April 18, 2014 – Yawning is a force so powerful, that if we see it, we often copy it. It is not something we physically transmit to another person, like a germ that gives you a cold, for example. Yet, we repeat the pattern as if to follow the old adage, “money see, monkey do”. The experts at discovery.com explain that yawning is contagious because of the “ancient, deep, and subconscious roots of empathy and social bonding. It is a primal instinct that bonds us together” much like contagious laugher or crying. This seems as logical, although newer research from Duke University found little evidence to back up this theory. Not a lot is known about why we yawn, but here is what we do know: There are two types of yawns, contagious, which occurs when someone sees another person yawn and spontaneous, which occurs more often when someone is bored or tired. Fetuses begin spontaneous yawning in the womb at about 11 weeks, and scientists recently dispelled the myth that people yawn to receive more oxygen. Many species of animals yawn spontaneously, while only humans, chimpanzees, and possibly dogs according to Japanese research, yawn contagiously. It has also been proven that yawning becomes contagious by age four, and that kids with autism are less likely to catch yawns than other kids. Were you able to make it through this blog post without yawning? Perhaps not, as even reading about yawning is enough to make it contagious. I’ve yawned a few times while writing it, too. It all seems simple enough yet yawning is a complex behavior that may never be explained. We have to accept it as just one of those things. Posted on April 18, 2014 April 24, 2014 Categories Question of the weekTags Contagious Yawning, Discovery.com;, Question of the week, Spontaneous Yawning, Yawning2 Comments on Question of the week: Why is yawning contagious? 10. Longer days – What a joy it is to drive home from work and still experience daylight. 9. 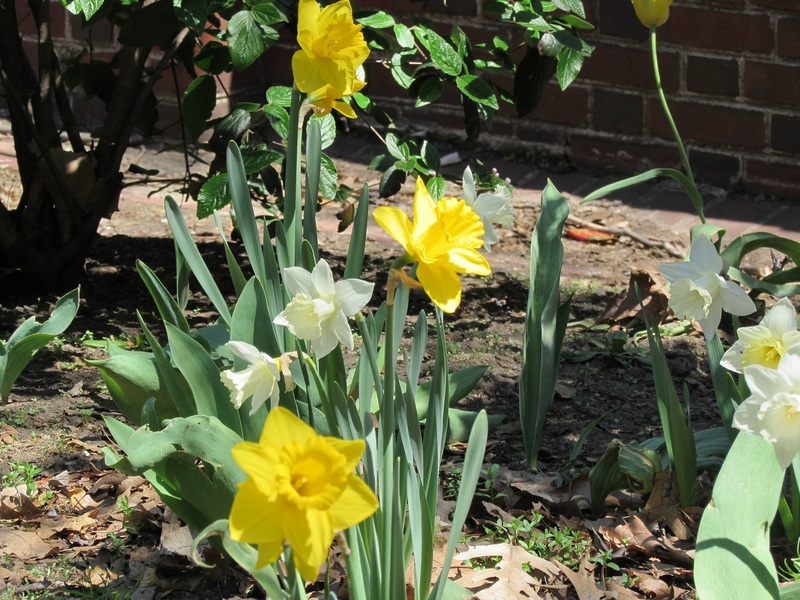 Warmer temperatures – Spring is perfect “no utility” weather. There is no need for heat or air-conditioning. 8. Taking photos – Everywhere you go looks like a picture postcard. Fresh blooms are enough to make any amateur photographer look like a pro. 7. Birds singing – Even the sound of birds chirping in the morning is a true pleasure. 6. Dining alfresco – I love sitting at outdoor restaurants and cafes in the city on spring days. It is great for the soul and for people watching. 5. 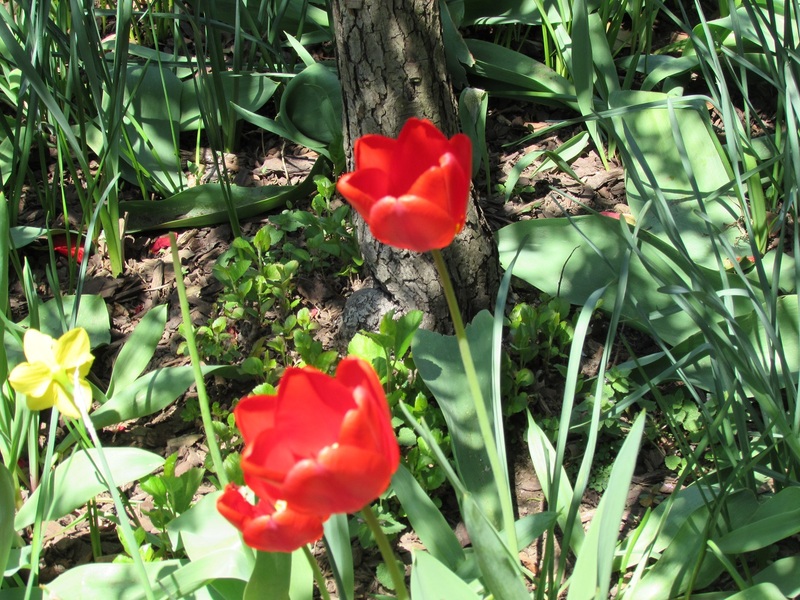 Spring cleaning – Is it crazy that I love to clean in the spring? It makes me feel lighter to get rid of stuff we do not use. 4. Shopping at the farmer’s market – We have our pick of plenty of options in southeastern Pennsylvania, which gives us access to the best fresh produce around. 3. 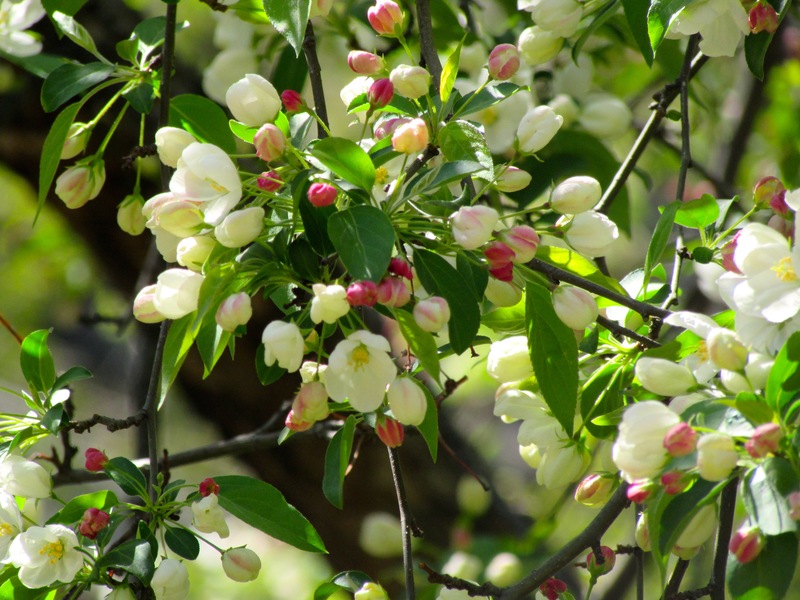 Cherry blossoms and azaleas – I like flowers, but never have I gone completely bonkers over them. I do enjoy spring blooms like cherry blossoms and azaleas, though. They are short-lived and much appreciated. 2. Sandals and open toe shoes – To get my feet in shape for the sandal season, I used a Pure Pedi foot peel. I was skeptical, but it worked wonders. Like a snake, I shed a lot of skin on my feet (and that was a little gross). However, I love the baby soft skin underneath. 1. Open windows – Yes, open windows are my most favorite thing about the season. 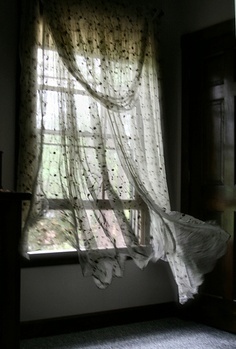 There is nothing better than letting the fresh air in and watching the curtains flutter in the breeze.